The first tip is to search for the right backpack. It should have an ergonomic design, enough space, several compartments, and a cool design, so it can be suitable for your child's body, needs, and preferences. It can be hard to keep things organized when you don't have a system to follow, which is why you should help your child create one. However you choose to arrange their things, make sure your child sticks to the system. Also, remind them to place heavier items near the back of the backpack to prevent injuries. There's really no use in your child carrying everything they own in their backpack (plus, this may strain their back). That's why they should pack their bag every night and fill it only with the items they'll need in school the next day. 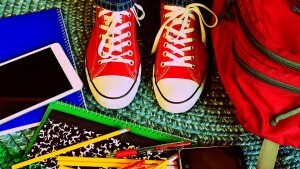 It's recommended that you provide your child with a pencil case that will hold all of their smaller school supplies, such as pencils and erasers, so they don't get lost easily. Finally, help your child clean their backpack with regularity. This way, they can throw all of the trash that they've probably been carrying around in it. Enroll your child in tutoring in Milpitas CA if you want them to reach their academic potential this school year. Call The Tutoring Center, Milpitas CA at 408-263-5377 to schedule a free consultation.